Made of a proprietary fabric AeroFlow material, a highly durable, UV resistant, non-woven fabric that provides exceptional air flow throughout the soil and root systems and allows excess moisture to easily drain away. 2' x 2' x 11.5" square shape; can be placed on any flat surface (grass, patio, concrete, etc.). 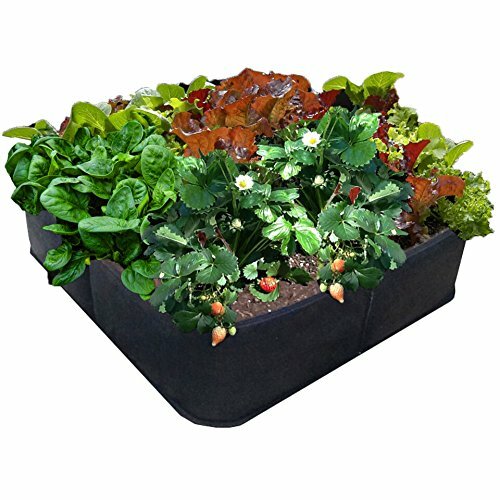 Holds 4 cubic feet of soil or other planting/potting mix (soil, plants and seeds not included). Wide compartment allows for more plant variety and better harvest yield. Made in USA.